We left Saigon at half past six in the morning, right before Saigon's infamous rush hour. Within a few minutes, a sea of people and motorcycles immediately filled the city's major highways as they make their way to their offices, marketplace, or schools. As we traveled for hours, the surroundings changed from a chaotic urban jungle to a wild vegetation of trees and tall grasses. Two hours en route, we made it to the borders of Vietnam and Cambodia safe and sound. The landscape didn't change for quite some time. The highway cuts through the sea of endless green and maize. One could easily tell that farming is still one of the leading industries in this country. With no internet access and zero knowledge in Khmer language and alphabet, I could only guess that we were approaching Phnom Penh, the capital of Cambodia as the rural landscape slowly transformed to a chaotic old-school urban jungle. It was sweltering hot when we got out of the bus and waited for another that would take us onwards to Siem Reap. I found the system chaotic, just like Phnom Penh. Small, crowded, and dirty. 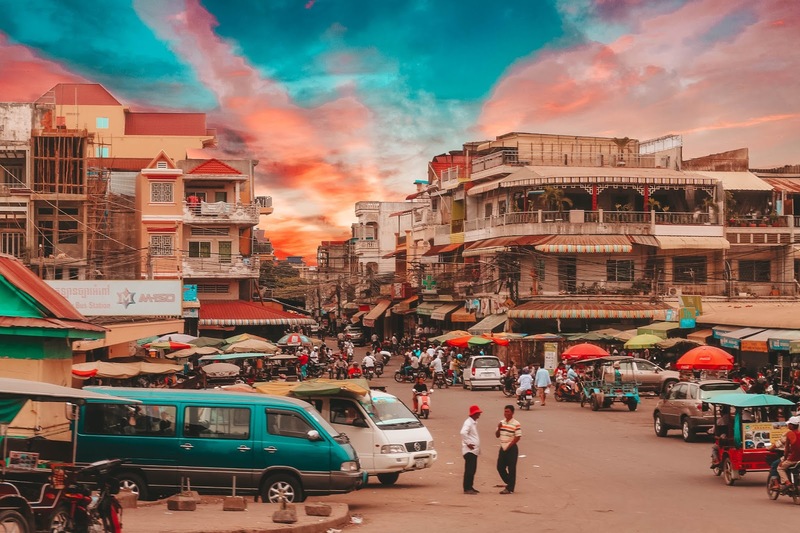 With a mix of decrepit French colonial buildings, sparking new mid-rise buildings, and historical temples, one could easily tell that this country had undergone economic and political turmoil. 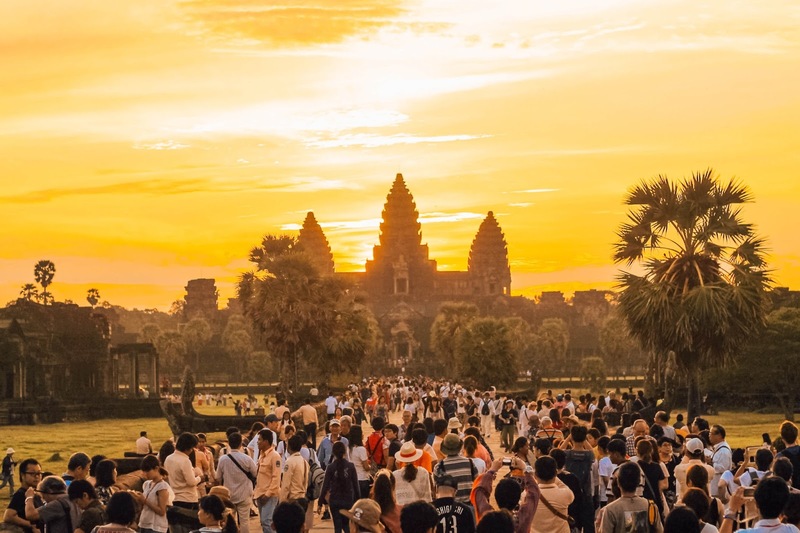 From the capital, it will only take 6 hours by bus to reach Siem Reap. Six turned to ten as our bus broke down right in the middle of the Cambodian nowhere. With no mobile internet signal and crew who don't speak English, we were literally off the grid. I almost broke down to tears since everything we planned were all ruined, and I could no longer think of any backup plans. My travel buddy consoled me. 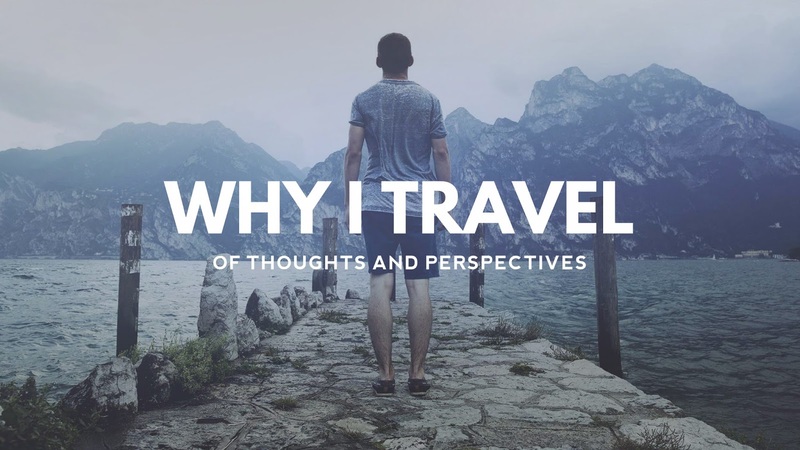 Perhaps, this is the beauty of traveling the road less traveled, both literally and figuratively. After almost 18 hours of traveling, we finally arrived at Siem Reap. The loud screech of the bus broke the silence inside the bus terminal. By that time, it was nearly deserted. There, we met Tiger, our tuk-tuk driver. He was small, lanky, and smelled of cheap tobacco. He took us to our hotel and offered a tour around Angkor Wat for $20. We immediately hired him and asked if he could fetch us at around 5 AM to catch the famous sunrise of Angkor Wat Temple. With barely three hours of sleep, we witnessed the beautiful sunrise albeit the huge crowd around the temple complex. But, it wasn't always beautiful in Cambodia. 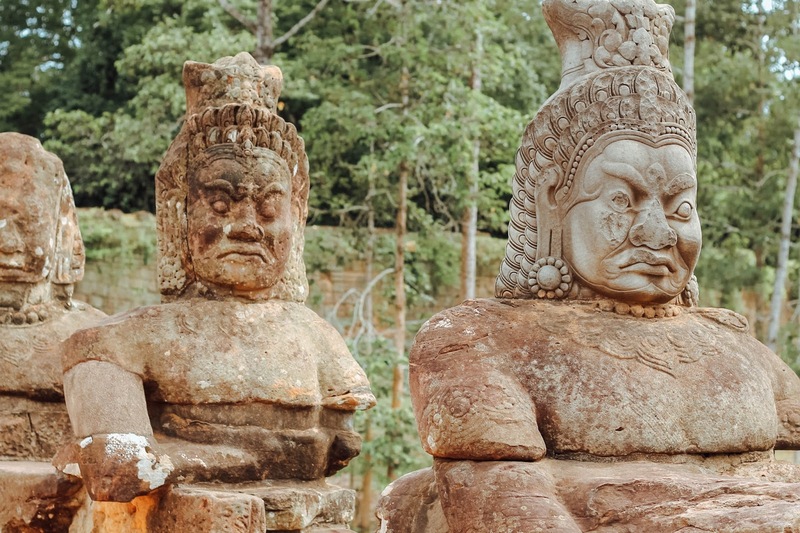 The Kingdom of Cambodia used to be one of the most important and prominent kingdoms in Indochina. 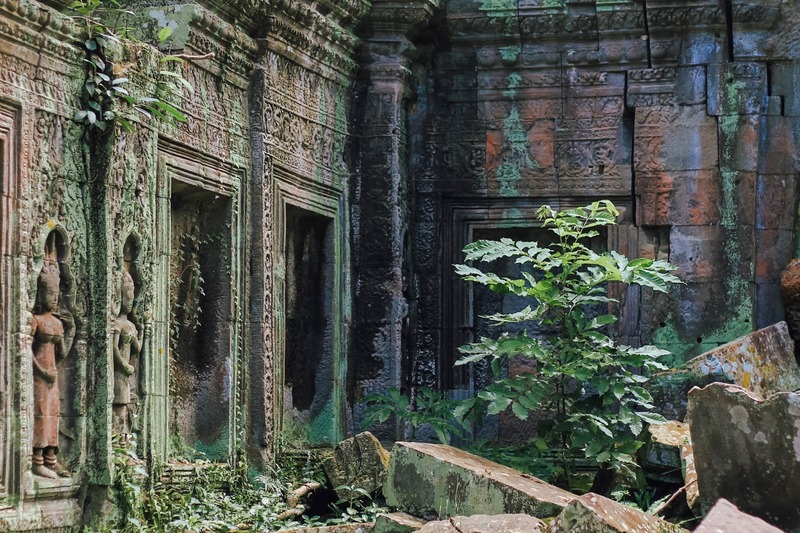 Following the fall of Angkorian Kingdom in the 15th century, Cambodia struggled to stand on its own feet. 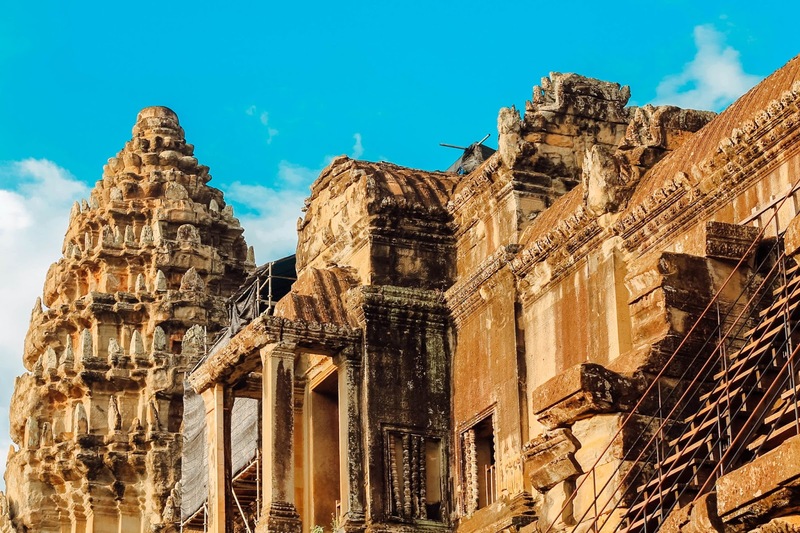 The surrounding kingdoms have a fair share of their dark ages, but nothing can surpass the infamous Khmer Rouge regime. In the early 1975, the American troops pulled out from Vietnam, Cambodia's longtime enemy. The word quickly spread across the capital and immediately after the Fall of Saigon, the Khmer Rouge rose to power, led by General Pol Pot. During his regime, he sent the entire population of the main cities to the countryside. They were initially told that they were going to return to their homes three days after but, they didn't. They were deceived by their own fellowmen. The regime attempted to recreate and rebuild Cambodia from nothing, forcing people from all ages to work just to sustain their basic needs. There was a complete disregard of the banking system, western medicine, religion, and even basic human rights. Killing Fields and the prison Tuol Sleng became notorious for its history of mass killing. Hundreds of thousands of ethnic Khmer died during the regime, reducing more than a quarter of the country's entire population. Pol Pot's regime didn't last for more than three years, and those self-serving and high-ranking officials had been held accountable only decades after. While eating breakfast, Tiger shared a part of his life. "I was once a part of an international Christian group, that's why I know how to speak English. There, I learned how to play a few musical instruments." He continued to puff his cigarette. "My father died when I was young, and I was really devastated. I became rebellious and asked God why he took him away. But, I realized everything happens for a reason. Because of that, I found light, and I became a Buddhist." "Life is really hard, but it is also beautiful and precious." he continued while finishing his first stick. I do remember being scammed inside the temple. I was given an incense, lit it up, and offered a prayer, only to find out that I need to pay $10 after. But, that's okay. I do remember those children around the temple, selling ref magnets and postcards. Some of them were too adamant, to the point that you have to say no to some of them. It was truly heartbreaking. 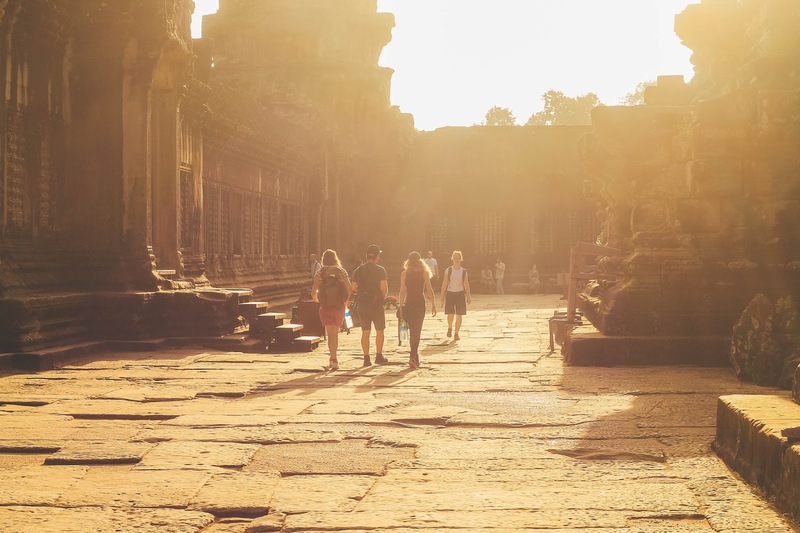 I do remember the genuine smiles of the locals as we passed by the dusty streets of Siem Reap. Most people here live below the poverty line yet they are still happy with what they have got. Happiness is not about owning a lot of material things; it's all about being with your family and loved ones. All of the discomforts that we've experienced in this trip was nothing compared to those who lived under the Khmer Rouge, a time when being alive is just an option. Mark Twain had once said, "Loyalty to the country always. Loyalty to the government, when it deserves." Author's note: I watched First They Killed My Father on Netflix a few days ago, and I was deeply moved by it. It is a heartbreaking story of a 5-year old Cambodian girl who battled to survive during the Khmer Rouge. Admiring the time and effort you put into yor blog and in depth information yyou provide. I'vebookmarked your site and I'm adding your RSS feeds to my Google account. you made blogging look easy. The entire glance of your website is excellent, as smartly as the content material!